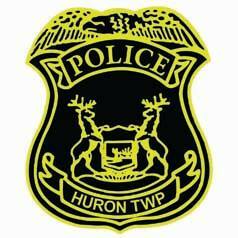 In the midst of homecoming season, the Huron Township Police Department conducted a liquor and tobacco operation Sept. 29-30 in an attempt to be proactive against illegal sales to minors. “All establishments within the Township that sell tobacco and/or liquor were tested for the sale of liquor and tobacco to a minor using a local high school student as a decoy,” said Police Chief Everette Robbins. Robbins said that after speaking to local parents, the department realizes that some establishments may sell, at times, to underage children that are known personally to the business. “We would welcome the opportunity to work with those families to take enforcement against any establishments selling to minors,” Robbins said. Residents can contact the chief at 734-753-4400. Robbins said the department will be initiating routine operations similar to this and that protecting area youth is a priority of the department. This entry was posted in Community, Police & Fire on October 6, 2015 by Scott Bolthouse.